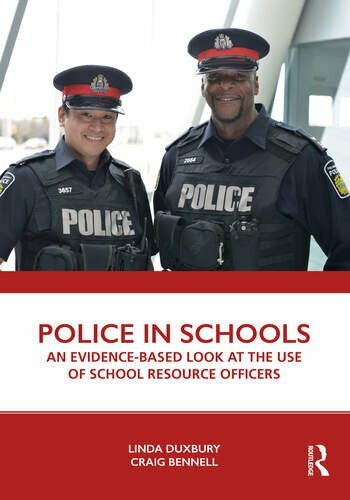 This co-authored book critically reviews existing literature on school resource officer (SRO) programs and presents a thorough evaluation of an SRO program offered by Peel Regional Police in Ontario, Canada. The implementation of a school resource officer (SRO) program is a controversial response to school violence and safety issues. While some call for an increased use of police in schools, others are pushing to remove police from schools, or at least to end their involvement in routine discipline. Though many SRO programs exist around the world, little systematic research has been conducted on the topic. The study reported in this book represents the largest and most comprehensive assessment of such programs to date. The research by Duxbury and Bennell indicates that SRO programs can provide real value for students, school staff, policing organizations, and society, but benefits rely on having programs that are well-designed, that the right officers are selected for SRO roles, and that the initiative has support from major stakeholders. Given the current conversations regarding the costs and benefits of having police officers in schools, there is a clear need to determine the value that investment in these types of proactive policing programs creates. The book provides researchers, SROs, police agencies, school boards, school administrators, teachers, parents, and students with information about: the activities that SROs are involved in, how SROs can collaborate with schools to create safe learning environments, and whether (and how) such programs benefit the police, schools, students, and society. Easy-to-digest charts facilitate understanding, and anonymized reflections from SROs, school staff, and students are presented throughout the book to provide context. 3. How Do SROs Spend Their Time? 10. Value of SRO’s: Summary of Key Findings and Conclusions. Linda Duxbury is Professor of Management and Strategy at Carleton University (Canada). She has published widely in both the academic and practitioner literatures in the areas of work-life balance, change management, supportive work environments, employee wellbeing, the use and impact of office technology, managing the new workforce and supportive management. Most of Linda’s research focuses on using evidence to make the case for change (with respect to work-life, employee wellbeing, and recruitment/retention issues) in the public, private, and not-for-profit sectors. Craig Bennell is a Professor of Psychology at Carleton University (Canada) where he teaches courses in forensic and police psychology. He also serves as Director of Carleton’s Police Research Lab. Most of Craig’s research. examines evidence-based policing, with a particular focus on how research can be used to improve police investigations, police training, and police performance under pressure. This research is typically conducted in collaboration with police services.